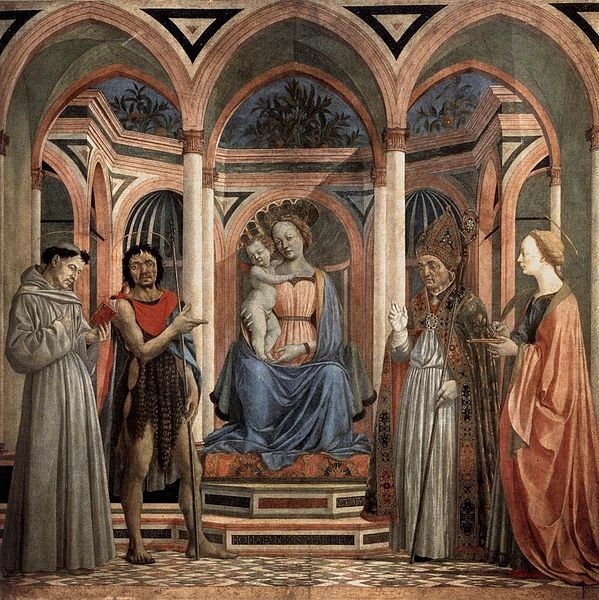 Domenico Veneziano (1404–61) is an important but shadowy figure in quattrocento art. The name suggests he was born in Venice, although he turned up in Florence while still in his teens, and later moved on to Rome, Perugia and elsewhere. Little is known about his life, except that he was a student of Gentile da Fabriano and possibly the teacher of Piero della Francesca. He was a master of perspective, and perhaps one of the leaders of the revolution in painting of his generation. He may also have been the first Italian to use oil paints, in the 1440's. Unfortunately his surviving works are few and dispersed. In Florence: the Uffizi, Museo di Santa Croce, Villa I Tatti, and the Cenacolo di Sant'Apollonia.